If travelling your horse to a show, clinic or workshop it's sometimes necessary or beneficial to bring the horse the night before and / or return home the day after. It is well known that the stress to you (& therefore your horse) of travelling on the day of the event, wondering if there are going to be any hold-ups etc can be unsettling enough to spoil your chances. 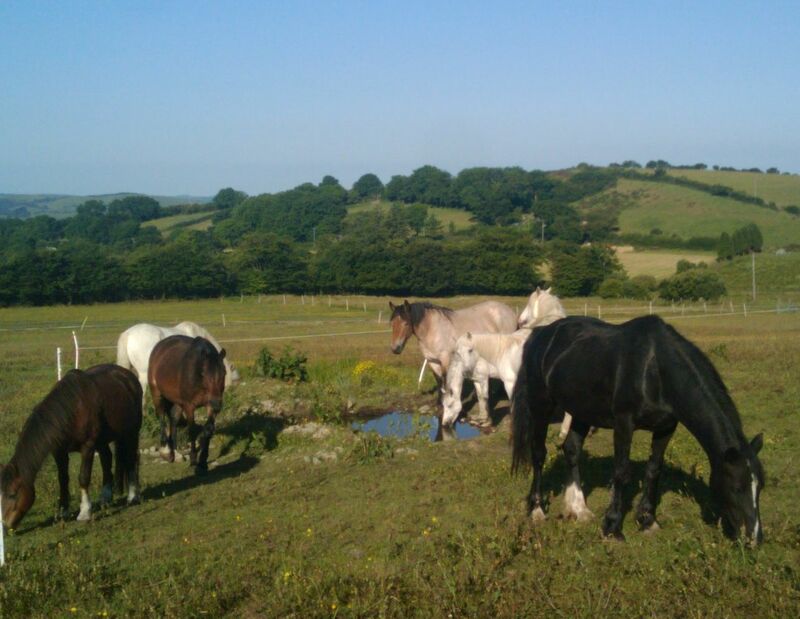 Overnight livery is also available to horses on holiday in this area with their owners (self-catering static caravan available too). We can provide a large double box (12 x 24) or single box (12 x 12) with rubber mats & large 'ground' haynet in situ. Most people like to supply their own hay or haylage but we are happy to supply at cost. You may put down straw or wood shavings if you wish. The stables are light, open & airy with views to outside where horses can see the peacocks, macaws, goats, geese etc. We can also easily see the stables from the house. 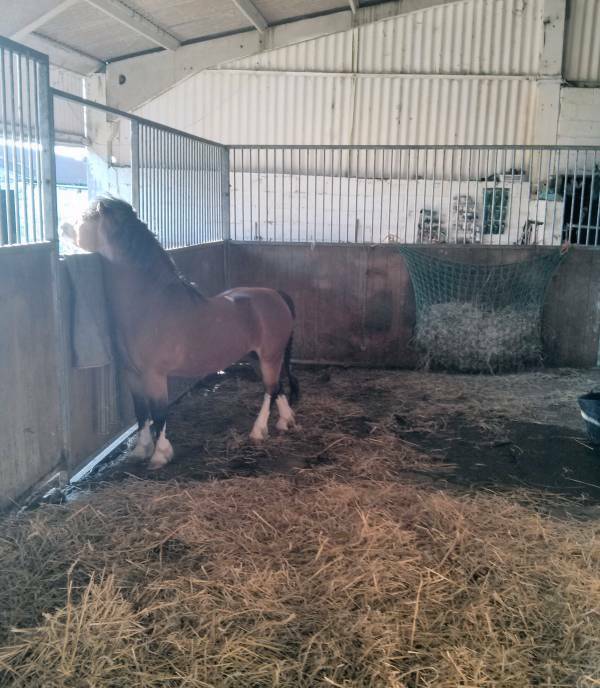 We prefer to allow horses the freedom & choice to stay in the stable or mooch around the yard as they wish (haynets also provided in the yard) and for single horses we are happy to offer one of our horses as a companion for the length of the stay; we know how important it is for horses not be kept alone. There is a choice of mains water (which we allow to stand for several hours to allow chlorine to evaporate before offering to horses) or rain water (except in very dry weather!). We can also offer overnight paddock livery - again for a lone horse or pony we would supply a companion mare, gelding or mule.